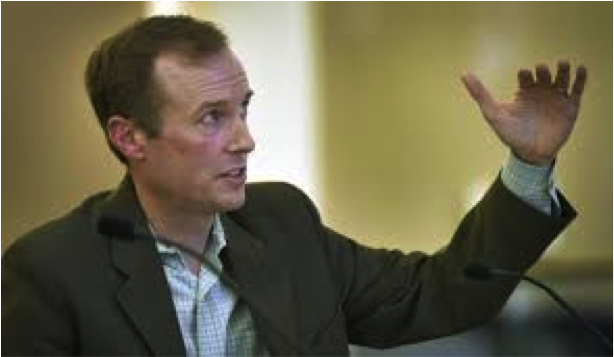 Marc Jolin is Director for A Home for Everyone/Joint Office of Homeless Services. This presentation and discussion was held at the SGNA General meeting, May 16, 2017. For background information and statistics on the work Marc described at our meeting, please visit: The Work. Each year, Marc Jolin’s office does an analysis of people who have died homeless on the street. Last year, there were 88. The average age was 45 years old. 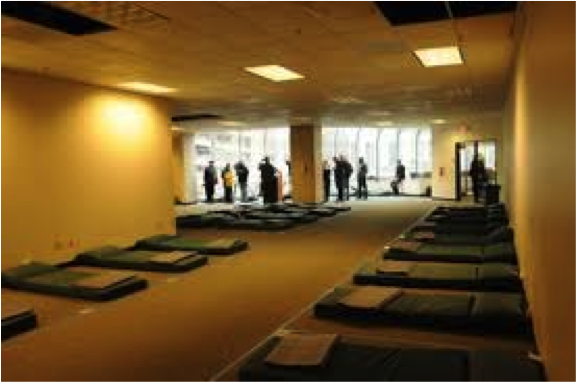 2,000 people per night are sleeping unsheltered. Another 2000 are in shelters of various kinds, including a family shelter at SE 152nd and Stark that currently houses 200 families. There is a no turn-away policy at this shelter, which means it can be very crowded. For the single adult population, about half will self-identify as having a disability and the majority are sleeping unsheltered. Many shelters have required that residents be sober and participate in case management. They often do not allow pets, partners, or things. Recently a new couples shelter opened in Westmoreland. People can bring pets and belongings and can stay on their own terms. In last year and a half, the number of beds in the community has more than doubled. Still across neighborhoods and communities, lots of vulnerable people sleeping outside and in RVs. The problem is that we don’t have enough housing. The greater Portland community is short 25,000 units of housing that can be rented at very low cost. 18,000 people in the community are on Supplementary Income (SSI) for disability and receive approximately $700 per month. Also those on VA benefits and those working full time at minimum wage can’t afford housing available on market. Portland needs to create more housing inventory. Jack Frewing: Can you speak to what is unique around Sullivan’s Gulch? Marc Jolin: Unsure of what is unique in Sullivan’s Gulch. Right to Dream 2 is planning to be relocated near Rose Quarter. Deanna Hunt: What is the best gateway for getting help for homeless in need in the neighborhood? Marc Jolin: Call to 211 during business hours and facilitate conversation. Bud Clark Commons is a day center near the train station where people can connect with resources. Also there is a youth system for those under 24. You can also call police to request a welfare check. Neighborhood groups can help by welcoming services into the community. For example welcoming an outdoor shelter village and assistance to transition to permanent shelter. Rose City has VA shelter in a Methodist Church (editor’s note – it’s called Do Good Multnomah, 5830 NE Alameda). Neighbors can volunteer at shelters. Food service, supplies, hygiene supplies all traditionally rely on volunteers. The Shlieffer furniture building is now housing 80 people, with mats on the floor, without a kitchen and could be adopted by a neighborhood. Oregon’s budget is looking at significant cuts that would affect shelters. Neighborhoods can get involved in the political side, lobbying and educating around issues. DJ Heffernan: what about the distribution of services - downtown vs. neighborhoods or even state-wide? Marc Jolin: New shelters are getting established on edges of the city, not downtown. Regional distribution meets need where people are. However, clustering downtown allows for medical clinics and shelters to be co-located. A relatively small percentage of homeless came to Oregon homeless. People come from all income bands. Those with low income are more vulnerable. Question: Can you speak to homeless youth? Marc Jolin: Youth populations are 24 and under. With youth, the emphasis is on stabilization, education, employment opportunities – getting people launched. Summer Travelers pass through every summer. A subset of those can be challenging, causing trouble to public safety. The city is addressing this through community policing and attempts to identify exploitation. Question: Whatever happened to Dignity Village? Marc Jolin: They are out there and doing just great, supporting 60 people a night. It is an intentional community with an agreement with city to serve as transitional housing, with a maximum of two years. Kathy Hansen: Can they pass lessons learned on to new communities? Marc Jolin: Yes, that is what is happening now. Michelle Johnson: What do you know about the initiative to house homeless in ADUs? Marc Jolin: The pilot “A Place for You” initiative encourages an increase of housing inventory through ADUs. The county will help put an Accessory Dwelling Unit (ADU) in place and manage it, housing a family in need of housing for five years. After five years, the ADU will revert to ownership of the property owners. The initial pilot is four houses and will launch this summer. 1,000 homeowners from across county signed up. Kathy Hansen: the city is attempting to recover Zombie houses/foreclosed homes - is there plan to make these available to homeless? Marc Jolin: Not really, running single family homes is very expensive. ​DJ Heffernan: Is anyone anywhere looking at creative solutions, like using and modifying containers? Kari LaForge – knows of a builder who can build an apartment for $66K, but city regulations boost cost prohibitively. Kari feels discouraged by high price tags and amount of work to be done and supports idea of requiring sobriety for access to shelters. Marc Jolin: Studies have shown that cost of housing homeless is exponentially higher due to engagement with police and emergency rooms than providing a room in Bud Clark Commons, where they then have access to services. The innovation question is fascinating, but doesn’t represent real progress yet. A Home for Everyone is a community-wide effort to house homeless Multnomah County citizens by making smart investments in the areas of housing, income, survival, emergency services, health, access to services and systems coordination. Key partners in the effort include Multnomah County, the City of Portland, the City of Gresham, Home Forward, local nonprofits and members of the public.